Reine, July 20, 2010 in Travel. Unfortunately the Arvika festival started without me this year, but that’s ok since I spent the weekend in Brussels. Even though it’s used as a curse in Hitchhiker’s Guide To The Galaxy, Belgium can be a nice place in the summertime. Reine, March 14, 2010 in Travel. Ever dreamed of going on the Trans-Siberian railroad? 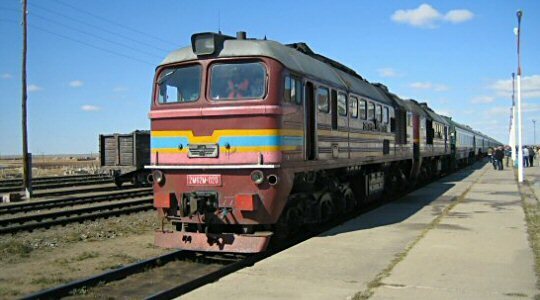 Google has cooperated with Russian Railways to create a video of the entire trip. If you’re having trouble sleeping, check out the massive 150 hour footage of birch forests, train stations and more birch forests! Reine, March 13, 2010 in Travel. Many of you probably remember Matt Harding and his dancing journey across the globe. But you might have missed German traveller Christoph Rehage. Reine, February 22, 2010 in Travel. A few days ago Sweden’s first Starbucks opened in Terminal 5 at Arlanda airport, Stockholm. I guess it was just a matter of time. The reason why it took such a long time is likely the fact that Sweden often offers excellent coffee. Even classic brewed coffee is decently black, unlike the American counterpart which more resemble a jug of dishwater.